Fisco is a Japanese exchange that focuses on trading Bitcoin and several other other digital assets against the local currency, JPY. 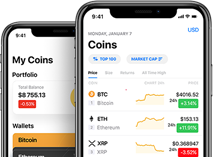 It also facilitates coin-to coin trades. The biggest advantage of Fisco exchange is the fact that it holds a license by JFSA, as required by local law.